“Serpent’s Kiss” should be the defining episode of The Last Panthers, and it almost gets there. Khalil’s off-the-books sting operation, Milan’s liberation of Dragan, and Naomi’s investigation into the diamond heist—three relatively noble enterprises triangulating a new European conquest—are all swallowed up by the greater forces of capitalist greed. Every other scene contains a statement line, something about profit or survival or the state of Europe today. In text and subtext, “Serpent’s Kiss” is a declaration. Now, the episode has its unfortunate moments of moody melo, that serious drama pose that’s as vogue as it is accidentally funny. For instance, the scene where our renegade cop is eating fruity cereal watching cartoons in his off time, and his sister interrupts so she can solemnly list all the times she’s seen him cry. You know, as real people do. Or later, midway through a sentence in preparation for the sting, when the renegade unzips so he can take a piss right there on the ground. Even though they’re in conversation, his brother isn’t facing him. He’s read the script, after all. Besides, this way he can emote in the foreground. The Last Panthers is serious stuff, but it’s the self-serious that distracts. That’s the scant fat on this lean, mean noir machine. The Last Panthers isn’t just posing. All along the show has been two intertwined projects, a globalization pamphlet encased in steel noir. Something like Carlos meets The Counselor, if The Counselor had no sense of humor. That’s the idea anyway. Sometimes those projects come into conflict and the methodical plot denies us an intimate understanding of a character’s thinking, as in Milan’s betrayal of Zlatko. They couldn’t reveal Milan’s hand, so we’re somewhat at a loss to understand how he got in the exact situation he’s in. Now that we’ve had two episodes end with his brother waylaid by the wayward Panthers, I bet Milan wishes he took care of Zlatko when he had the chance. “Serpent’s Kiss” contains three points of no return, and two of them don’t have nearly the impact they should. This is it. As Khalil says, “It’s the beginning of the end.” It’s time to make some noise. But the boom of Khalil’s big sting operation is muffled by plot conveniences, documentary distance, and a structure so intent on keeping the big picture in mind that none of the little pictures can get their due. It’s the opposite of the Game Of Thrones problem. Instead of one 15-minute chunk per location, we get that amount of time chopped up into little pieces spread out across the hour. It would be less disappointing if the build weren’t so tense. The most powerful moment in Marseilles this week is when Khalil and Mokhtar impress an ex-con into their sting operation. The guy killed a friend of theirs when they were children. He’s no saint. But he has served his time, and now he’s being asked to put his life on the line. No, not asked. Mokhtar pulls a gun on him. But he lacks a certain conviction, doesn’t he? So his big brother comes to the rescue again, shoving the gun in the ex-con’s face and daring him not to comply with his commands. Between the rocketing tension, the thrumming soundtrack, and the “nuff said” cutaway, the scene is straight out of True Detective. Things remain tense on both sides until the actual sting. Mokhtar and his new colleague are scared shitless. Khalil very carefully lays a trap for Roman. Waves crash against the restaurant window behind Khalil. It’s all so worrisome you start to have doubts. After the gun handoff, the camera circles around Mokhtar’s car as the con closes the trunk and approaches the passenger car, and all I could think about is whether he’s about to shoot Mokhtar. Is he working with Manu? Does Roman suspect what’s going on? I even started to wonder if Mokhtar might be playing his brother. That’s how successfully the tension mounts. And then comes the whimper of the sting. Three people die, one, the ex-con, apparently unarmed and apparently shot by Khalil in the heat of the moment. The others to go are Manu, a gang leader handling an arms deal all by himself with no security, and Roman, the very cop the sting was meant to trap. Apart from the far-fetched scenario, it’s so rushed and straight-faced that it doesn’t come across as tragedy. That’s the risk of the cold, distanced globalization symposium. Everything gets the same emphasis. Milan’s plight is more clearly sad, only he’s in about the same place he was in last week. He and Dragan make it from Belgium across Germany and into Hungary, but they’re betrayed in the night by their keepers. In answer to one of the questions I had last week, it turns out Dragan really doesn’t have any allies left. Just Milan. But Milan leaves him in the night after Dragan drunkenly makes one of those declarations I was talking about. “We’re the living dead.” Milan hangs a lamppost on the plot by asking what was the point of saving him. “Because that’s how you are.” Ah, he’s the scorpion. It’s in his nature. In fact he reminds us Dragan named him the Animal. “My only goal was to survive.” With all these statement moments, what has been subtext becomes text. Milan’s motivation is survival. He’s in the game—the game being this complicated web of oppressive developing-world criminal enterprise propped up by imperial Western wealth—simply to get by. He’s living at subsistence-level. Those animal instincts compel him to flee his makeshift shelter in the Hungarian woods well before that shelter and Dragan’s occupied one are shot up by their hosts at Zlatko’s behest. On the contrary, Tom points out he and Naomi have no more motivation to be in that particular game. They have the privilege to involve themselves or not, because they’re working for profit. She wants to find out who hurt them. He responds, “Nobody did anything to us. You were hurt in the course of doing your job.” That is, it’s not Naomi who was nearly murdered in Belgrade. It’s the role of insurance investigator that happened to be filled by Naomi’s body. I’m not sure any Western supervillain worth his salt would speak so plainly about capitalism reducing us to bodies filling roles in an inequality-promoting system that doesn’t need us, individually, but Tom has his finger right on the pulse of this show. “And with the diamonds gone, our profit motive is gone. The reason to find anyone responsible is gone. The case is dead.” The episodes dismantle Naomi’s motivation piece by piece. First she’s being ordered to investigate against her will. Then she’s choosing to investigate. By this point she’s motivated by occupational pride and maybe a bit of vengeance. And then, in the third and most powerful moment of no return, Tom fires her. The problem for her is she does too good a job investigating and happens to catch Guillaume wearing the stolen watch at the airport with Matthias Grunnert (Ivan Ribar), the man with the dog she’s been tracking. Which means the diamonds and the murder of a child (and, unbeknownst to her, the gang violence in Les Agnettes, and who knows how much else) is tied to the airport Tom’s backing. Or, as the glamorous billboard calls it, the future of Serbia! The setting couldn’t be more appropriate. Tom’s out celebrating with the elite of the elite, financially speaking, and meanwhile, in direct connection with that party, a shootout claims three in Les Agnettes and a boy with a heart condition is hunted in Belgradw. Naomi’s trying to get a hold of Tom to report the Guillaume sighting, but he’s busy. He’s unavailable to do the right thing, because he’s out partying with the criminals of varying states who just found a new region to exploit. When Naomi crashes—politely given the circumstances—he doesn’t take the news well. He tells her a story about when he picked her up out of a ditch in the war. “I didn’t do it because I pity you. I didn’t do it out of any sense of humanity.” That’s the most Tom line of the show. There’s nothing human about these exploitative institutions. “I didn’t even do it as a favor for your father. I did it because I believe that you had a good brain and that you’d learn to understand the complications involved in hard decisions.” That is, he thought she’d be smart enough to play ball. Smart enough not to take on insurmountable forces like the ones that have ensnared him. But Naomi has her limits. Now that she doesn’t even have the excuse of an occupation to involve herself in the diamond investigation, what motivates her? I’m not sure that matters nearly enough as the fact that, unlike Milan, unlike Adnan, unlike Mokhtar and the old couple and that poor six-year-old girl, she has a choice. “Serpent’s Kiss” is written by Jack Thorne and directed by Johan Renck. I don’t talk about the acting nearly enough as it deserves, but Samantha Morton is astonishing. She goes from amoral capitalist to moral center without losing any consistency. 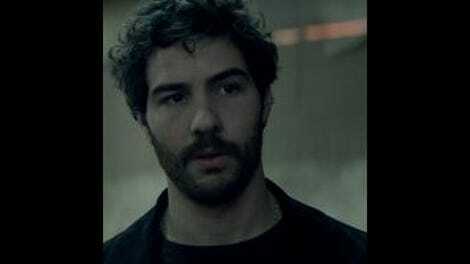 And Tahar Rahim’s no surprise either. As in A Prophet, he brings a kind of scrawny swagger to this down-on-his-luck mercenary. He exudes power beyond his physique, but then he collapses into just another guy sleeping on his mom’s couch. Now, the cereal scene is a nonsense scenario, but the story it contains is part of the noir. The gist is that Khalil’s abandonment of Mokhtar is partly responsible for Mokhtar getting involved in Les Agnettes. Now the brothers are trying to fight the spiral. Good luck. However, when Mokhtar comes crying to Khalil for help, Khalil rejects that idea. “You made your choices. I made mine.” He doesn’t want to claim any responsibility for his brother’s fate. But he’ll also use that fate as leverage to get Mokhtar to participate in the sting. Okay, so he’s also trying to put an end to the violence in Les Agnettes, but he still comes off a mite ruthless. Meet Julia Ortiz, the new airport financier. She speaks even more plainly than Tom. “My friends and I want money in the East to provide untraceable liquidity for our activities there. Can be dirty, can be clean. We’ll launder it, we’ll use it.” She offers Zlatko investment in one of her enterprises and, more importantly, an entry into the exploitation market. Put pins in the map in Vienna, home of Matthias the dog man, and Inverness, Scotland, home to a decadent hunting ground. Oh, and Rhineland, Germany, which just happens to be on the way from Belgium to Serbia. Roman thinks to break the cycle of violence “requires radical new methods.” Strangely those methods sound like relatively conventional old methods, specifically, promoting local strong-man dictators. It’s outsourcing the keeping of the peace. Khalil is too hard-headed to put up much of an alternative case. His radical method: “We need to enforce the law harder.” Hell, privatize criminal justice altogether. Put a financial incentive on it and see how hard those laws get enforced. See how inhumanly the institution runs.